"Kendrick is a fast-talking delight (she keeps revealing more layers)." 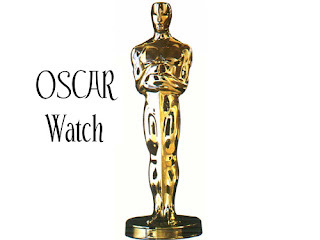 Movie Anticipation (and another possible OSCAR Watch)! I am really looking forward to this one as I love historical movies and I love the movies based on Tolstoy's Anna Karenina (unfortunately, I have never read the book, but don't worry...it's on my TBR pile!). And, of course, I LOVE Helen Mirren. Ever since her brilliant portrayal of Morgana in the excellent Arthurian film Excalibur way back in 1981, I have followed and admired her stellar acting ability. Let us watch and see what unfolds with The Last Station and, meanwhile, I will be enjoying the film very soon! Both movies are based on books: Up in the Air by Walter Kim and The Last Station by Jay Parini. Two great selections for the 30 Books to Movies Challenge hosted by The Bibliophile's Lounge. Oh God, I love George Clooney. He looks just as good to me as he did 20 years ago. And the guy has acting chops. I haven't heard of The Last Station. Thanks for turning me on to it. I'm putting my votes behind Monique and the young lady who plays her daughter in Precious. Wow, so many movies I've never even heard of. and the all look so good! 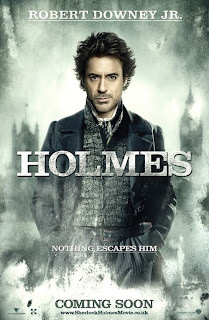 Soooooo want to see Sherlock Holmes. That looks like riot.